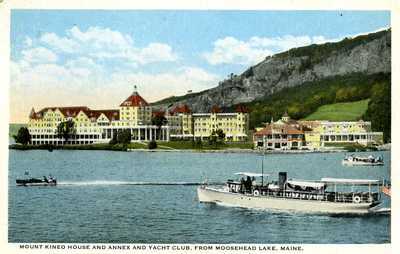 Color postcard with the caption "Mount Kineo House and Annex and Yacht Club, from Moosehead Lake, Maine." No postmark or message on the back. Similar postcards in the collection include a postmark date of 1907.